Noel will be on hand when you arrive and will help you settle into your house and ensure that you are comfortable. The property is steeped in history. It is a former Victorian model farm, which up until the 1970’s was the Home Farm to the magnificent Coolattin House on the estate of Earl Fitzwilliam, the adjoining property which today is the beautiful Coolattin Golf Club. 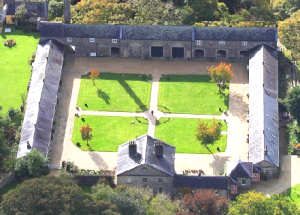 The Fitzwilliam estate was vast, owning 80,000 hectares equating to 1/5th of County Wicklow. The family were also proprietors of the renowned Wentworth House estate in England’. 1 x 2 bedroom house. Two of our houses have disabled access.